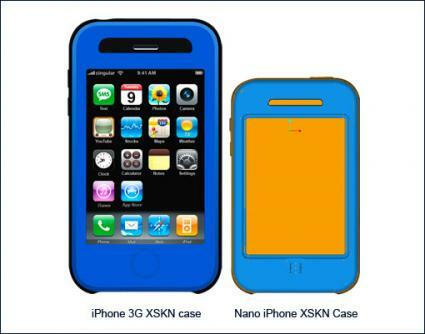 Once again, rumours Apple intends introducing an iPhone nano lead the pre-Macworld Expo speculation agenda this week, following the leak of a claimed case design for the purported product. We can’t vouch for the veracity of the latest iPhone nano report, but we do note the source cited by MacRumors is admitted to be patchy in its credibility. However, claims Apple intends introducing a lower-cost, smaller sibling to the iPhone 3G have been in circulation for a long time. This entry was posted in Apple, News and tagged apple, applications, digital music, handheld, iphone, iPhone nano on 12/16/2008 by Jonny. In advance of the Apple event next week the Mac rumour sites are festooned with news and predictions as to what’s on the way, so we thought we should let you know what is going to happen. For a round-up of more recent information since the publication of this post, please click here. Digg founder Kevin Rose recently offered his prognostications for the Apple event next week, predicting iTunes 8, new low cost iPod touch, lower prices across the iPod range, a redesigned iPod nano and more. This entry was posted in Apple, News and tagged apple, digg, digital music, iphone, iPhone nano, ipod, ipod touch, itunes, itunes 8, iTunes Unlimited, kevin rose, MP3, online media, online music, subscription on 09/04/2008 by Jonny. “While we believe Apple is working on a lower-end iPhone form factor, we do not think one will come until Spring 2009,” analyst Ben Reitzes said, responding to the original report in the Daily Mail. The analyst went on to observe Apple still needs to get supply and demand for the current model sorted out, and observes the company’s intent to ship the iPhone 3G in 50 more countries before the end of the year. Introducing another model at this stage would add extra complexity to an already complex task, he warns. This entry was posted in News and tagged apple, Daily Mail, digital lifestyle, digital music, iphone, iphone 3G, iPhone nano, ipod, mobile on 08/06/2008 by Jonny.